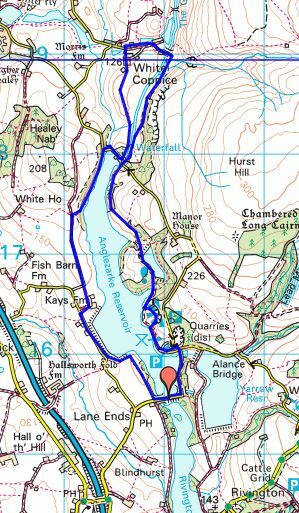 Not ‘The Anglezarke Amble’ which is a LDWA organised 24mile challenge walk/run but a pleasant amble around the reservoir with two old friends. This easy walk fitted in with the Plastic Bag Man’s recuperation from knee injury and the Professor was willing to come along for the chat, we go back a long way. The south end of the reservoir was a good meeting place. We all commented on the increased traffic encountered on the journey here, guess that is a fact of the times and that we should think more seriously about using public transport. The paths were dry after the recent fine weather and the day hot and mainly sunny – ideal for ambling. 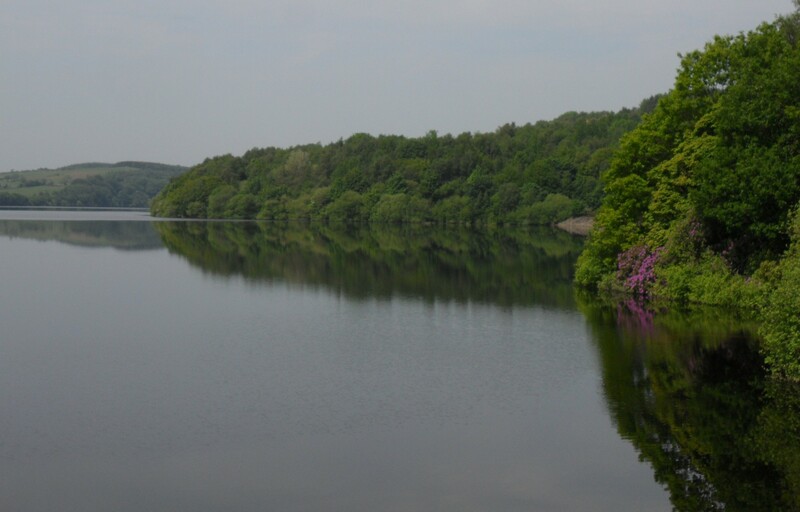 The reservoir was constructed in the 1859’s to supply water to Liverpool and is part of a chain of reservoirs in the Rivington area. 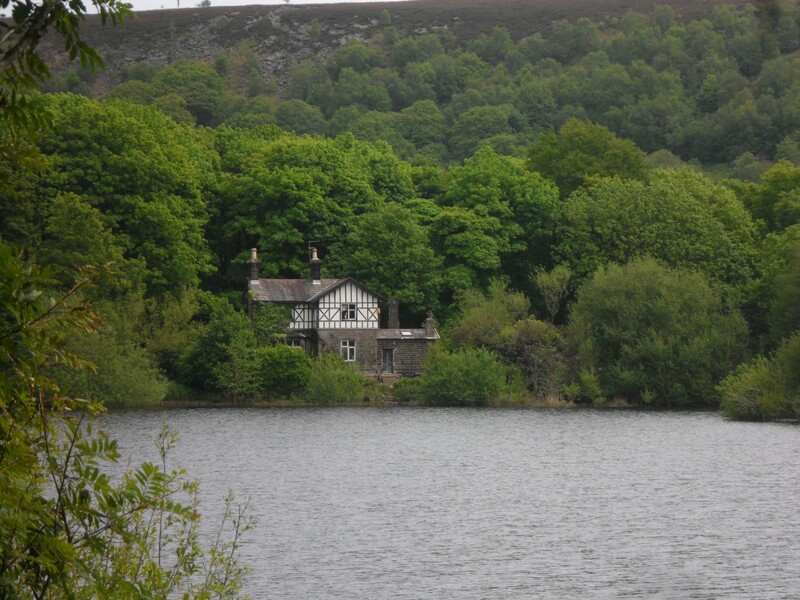 We passed the Tudor style Waterman’s Cottage built by Liverpool Corporation. White Coppice is a small hamlet with some fine cottages, now highly prized. 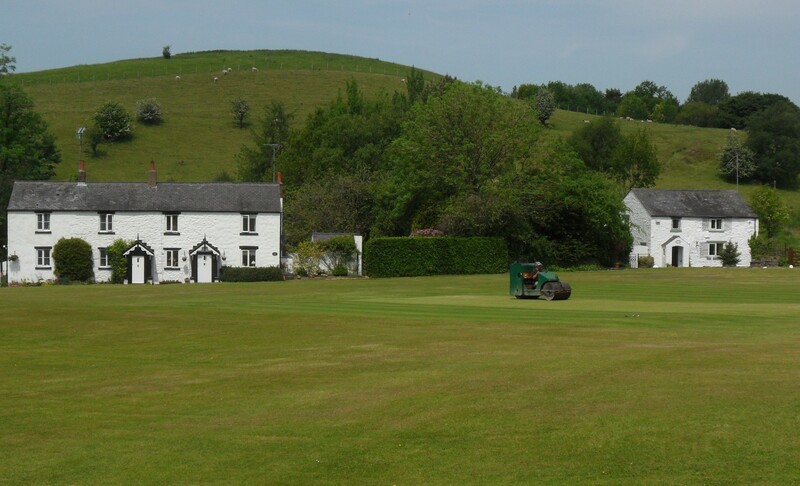 It is well known for it’s sloping cricket pitch in an idyllic situation. We sat eating our sandwiches on a bench watching the groundsman fine tune the batting area in readiness for this weekends fixture. 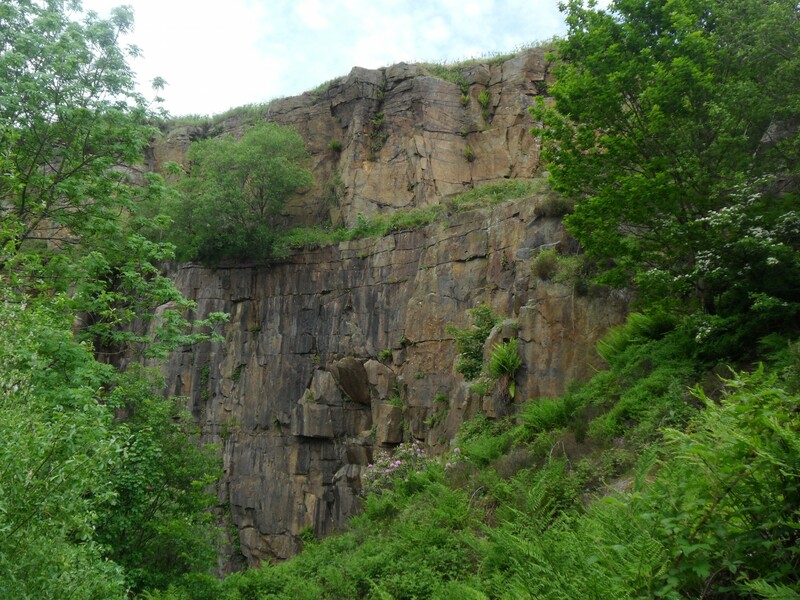 On the return we looked into Lester Mill Quarry once a fairly popular climbing venue, nobody appears to visit now. Some of the longer extreme graded climbs look distinctly uninviting, they were always a bit scary with dubious rock. [the midges were just as dangerous] That is why this quarry was always a poor second to the well used Anglezarke across the road. Managed to identify one climb we three often did as a warm up – Lester Rib VD on a small buttress at the entrance to the quarry. 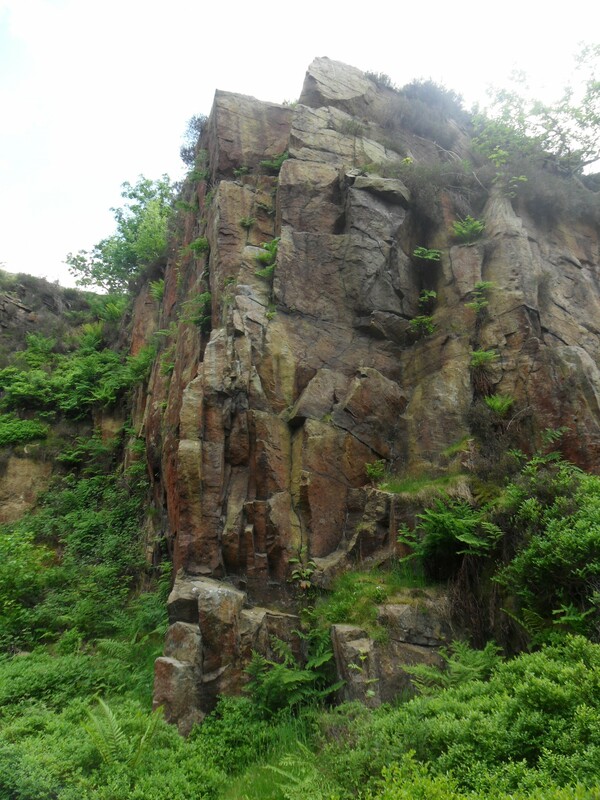 The quarry was originally worked for paving stones still being walked on in Manchester and Salford. The Plastic Bag’s knee survived the 6 miles, we considered the extension around Rivington Reservoir but as the heat was so oppressive we opted for a cool pint in the nearby Bay Horse, an old haunt from post Anglezarke climbing evenings. This entry was posted in Climbing, Lancashire., Walking. and tagged Climbing, Lancashire, Walking. on June 14, 2015 by bowlandclimber.